Mark August 30th on your calendar! Dark City Brewing Company Founder Kevin Sharpe is joining Nicholas Harary for an evening of the best of Asbury Park craft beer and Nicholas cuisine. 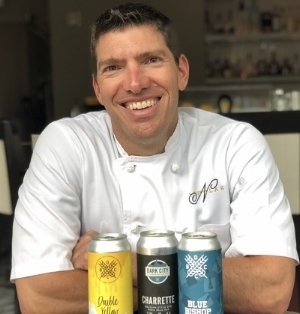 Nicholas paired Dark City Brewing's eclectic selection of year round and semiannual beers with an exceptional four course menu prepared by Chef Kevin Koller and his team.